As consumers became more health-conscious, they started looking for fast food chicken products that were made with white meat, instead of dark meat. White meat has less calories and a lower amount of fat than dark meat. Up until 2003, McDonald’s put some dark meat into its luscious Chicken McNuggets. The pre-2003 recipe for Chicken McNuggets included dark meat, white meat and other ingredients. 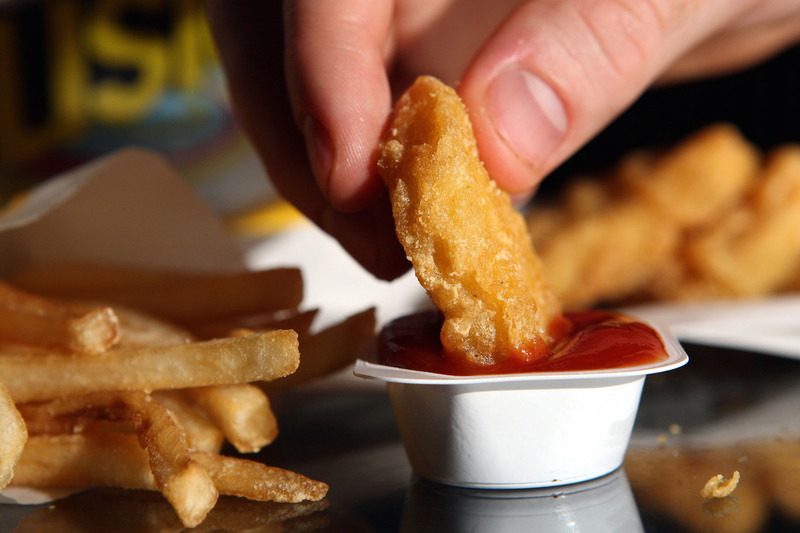 As consumer tastes evolved, McDonald’s changed its famous and successful McNuggets recipe. The recipe no longer included dark meat. Today, McNuggets are made with chicken breast, as well as starches, seasonings and other ingredients. Some McNugget fans long for the taste of the dark meat McNuggets, but McDonald’s is happy with the current recipe. McDonald’s Canada’s official website reports that certain Mickey D’s menu items, such as Junior Chicken Sandwiches and McChickens, are made with a variety of chicken meat, including some dark meat. So, these other menu options are good choices if you do like the taste and texture of dark chicken meat. Most people definitely prefer the white meat nuggets. They are so popular. Chicken is a nice alternative to burgers at fast food restaurants. McDonald’s makes sure that customers have all of the menu item options that they want. One of the biggest and most publicized changes to Chicken McNuggets was the removal of artificial preservatives. The change happened in 2016. McNuggets weren’t the only Mickey D’s menu item to become artificial preservative-free. The fast food chain’s scrambled eggs, pork sausage patties and omelets were also changed to take out the artificial preservatives. 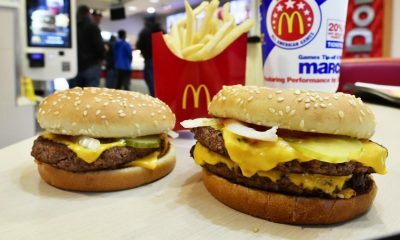 At the same time that the restaurant chain cleaned up its Chicken McNuggets recipe, McDonald’s let the public know that it was going to change its buns, too, so that they would soon be free of high-fructose corn syrup. Why did McDonald’s make these changes? Well, the restaurant chain was attempting an image upgrade. McDonald’s execs realized that the fast food chain’s customer base was becoming more knowledgeable about natural and healthy foods…and looking for those types of foods from the restaurants that they patronized. To meet evolving demand, McDonald’s took out the ingredients that customers didn’t want in their McNuggets and other popular McDonald’s menu items. These changes really paid off. McDonald’s sales went up, when sales had been lower-than-anticipated the quarter before. The new recipe for Chicken McNuggets was filled with ingredients that customers would recognize, rather than a bunch of ingredient names that sounded chemical and unfamiliar. Rice starch and pea starch are two examples of familiar ingredients from the new recipe. McDonald’s also ditched the citric acid, safflower oil and chicken skin in its tasty chicken nuggets. The breading for the McNuggets still featured an additive known as sodium phosphates, but the chicken meat did not. In the early days of Chicken McNuggets, according to the controversial Super Size Me documentary, these breaded chicken bites, which are flash-frozen and then deep-fried at McDonald’s locations, were made from chickens who were older and no longer able to lay eggs. The documentary implied that those older chickens weren’t always the healthiest chickens. These days, McDonald’s official website reports that chickens utilized to produce Chicken McNuggets are slaughtered when they are forty to forty-five days old. That’s not really old, because chickens have the capacity to live for years. Naturally, chickens that are raised to produce food often get slaughtered much earlier. McDonald’s definitely pays attention to any bad press that it gets. 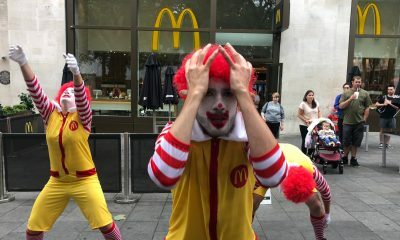 There’s no question that execs at Mickey D’s watch documentaries like Super Size Me carefully and do their best to neutralize or negate any bad publicity. By being open about how old its McNuggets chickens are when they are slaughtered, McDonald’s gives customers the hard facts. Fast food production has changed a lot over the decades. McDonald’s has evolved its Chicken McNugget production process to make it as efficient, and healthy for customers, as possible. When McDonald’s introduced halal Chicken McNuggets, the restaurant chain eventually got sued. According to a Nydailynews.com story from 2013, a Muslim male sued McDonald’s because he believed that the fast food chain wasn’t consistent in terms of following Muslim laws for halal. The man who sued received a settlement of seven hundred thousand dollars. 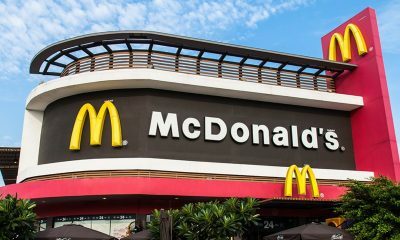 After the settlement was reached, McDonald’s announced that halal McNuggets and McChickens would no longer be offered to customers at two Michigan-based McDonald’s. Both restaurants were located in the Dearborn suburb of Detroit. The man who filed the lawsuit was named Ahmed Ahmed. 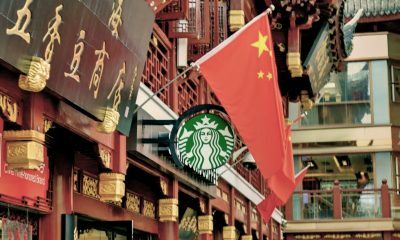 He believed that the restaurant was selling non-halal chicken as halal chicken, based on information from a source who knew a lot about McDonald’s operations and inventory. Since McDonald’s decided to settle, there is a high likelihood that there was wrongdoing in terms of the whole halal meat promotion. Some companies do settle when they aren’t guilty of wrongdoing, though, just to avoid bad press. After settlements, parties involved in lawsuits usually aren’t allowed to talk about their cases publicly. With halal meat, an Islamic type of animal slaughtering is utilized. The slaughtering style is outlined in the Koran. Animals, including poultry, must be killed via cuts to their jugular veins, windpipes and carotid arteries. The animals must be healthy and alive when they are slaughtered, and every bit of blood must be removed from their carcasses. The chicken products marketed as halal at the two McDonald’s locations had been on menus for twelve years before the lawsuit. Right now, McDonald’s is offering McNuggets fans access to a special, limited-time only dipping sauce called Sriracha Mac Sauce. It’s something unique and tasty for McDonald’s McNuggets fans to try, but it won’t be on the menu forever. If it’s a huge hit, maybe the powers-that-be at Mickey D’s will consider making it a regular menu item. 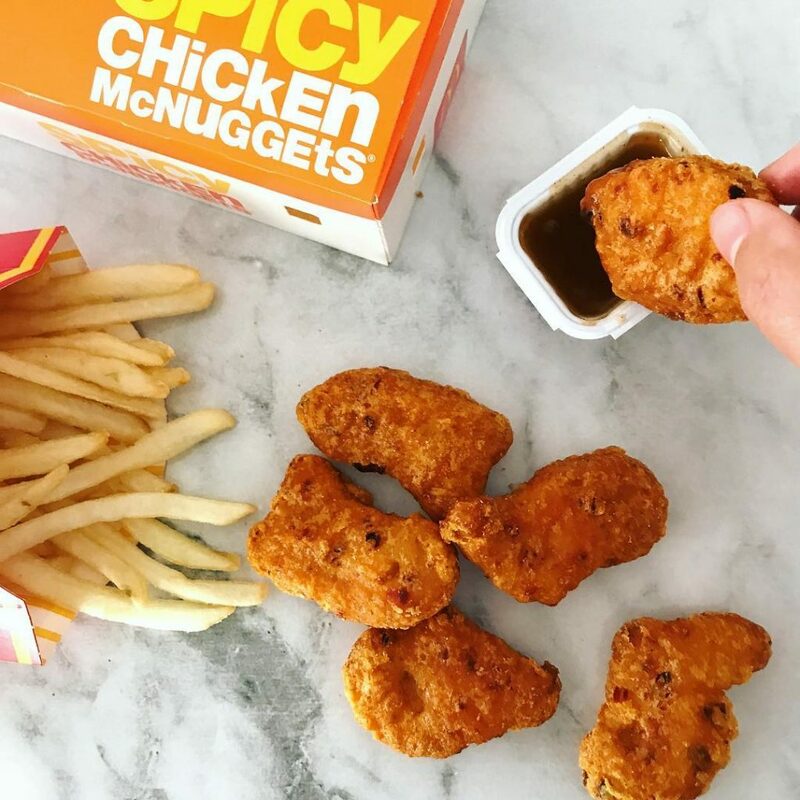 Current regular dipping sauce options for chicken nuggets from McDonald’s include Tangy Barbecue, Honey and Honey Mustard, to name just a few. Chicken McNugget sauces which are no longer available include Sweet Chili and Hot Mustard. Both of these sauces were discontinued a few years ago. Other discontinued sauces for McNuggets, which may or may not be missed, including Zesty Italian, Green Chili Salsa, Barbecue and Mesquite. That group of sauces was around in the 80s. Food tastes change. McDonald’s evolved by revising its collection of McDonald’s dipping sauces occasionally. Some people love the dipping sauces. Other don’t bother with them. Everyone has their own eating style when it comes to Chicken McNuggets. Are you a dipper? If so, what’s your favorite dipping sauce? Dipping sauces do up the calorie count for fast food, but they also add a lot of taste and moisture. McDonald’s offers dipping sauces to suit so many different palates, from sweet to sweet-spicy to spicy. There is a dipping sauce to suit everyone’s taste. 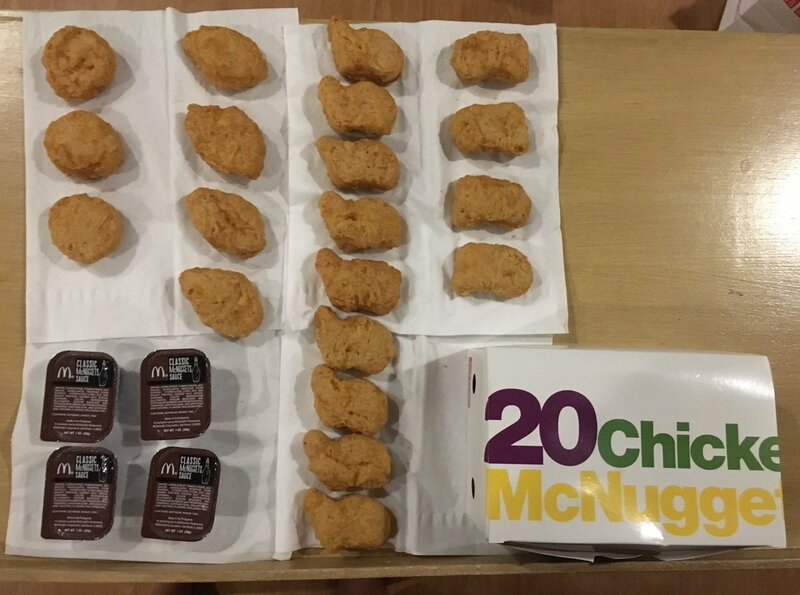 Some countries offer different McNugget portion sizes than others. In the USA, you may buy these yummy chicken nuggets in four-packs, six-packs, 20-packs and 50-packs. The 50 packs aren’t available at all McDonald’s locations. In the United Kingdom, customers may access four-packs within Happy Meals, or go for six-packs, nine-packs or twenty-packs. In Australia, three-packs are available via Happy Meals. Same thing in New Zealand. In Australia and New Zealand, it’s also possible to grab “tick healthy’ three-packs in meal packs that are Heart-foundation approved. In Canada, McNuggets come in four-packs, in Happy Meals, and six-packs, ten-packs and twenty-packs are also available. 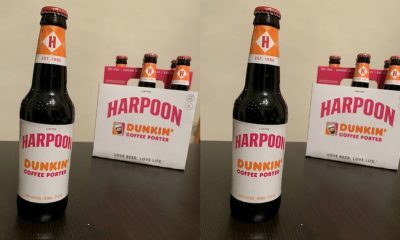 Sometimes, fifty-packs are offered for special occasions, such as the Super Bowl. In India, McNuggets were available in Breakfast Meals for a while, until they were added to the regular menu. Times have changed, and McDonald’s franchises all over the world meet the needs of customers by offering portion sizes that fit the needs of each country. What works for the USA isn’t right for the UK and vice versa. If you’re a world traveler and a Chicken McNuggets fan, you may enjoy ordering McNuggets in different nations and checking out the differences. You should enjoy the same great McNugget taste anywhere that you roam, but there are people who find that McDonald’s food tastes different from nation to nation. A lot of people don’t realize that McNuggets are produced in four distinctive shapes. These shapes even have names. The next time you order a pack of Chicken McNuggets, keep an eye out for the four shapes, which are the bow-tie, the bell, the boot and the ball. They may come in updated packaging and portion sizes, but the basic shapes remain, because they have been chosen in order to make sure that cooking times are consistent. This is done to ensure superior food safety. 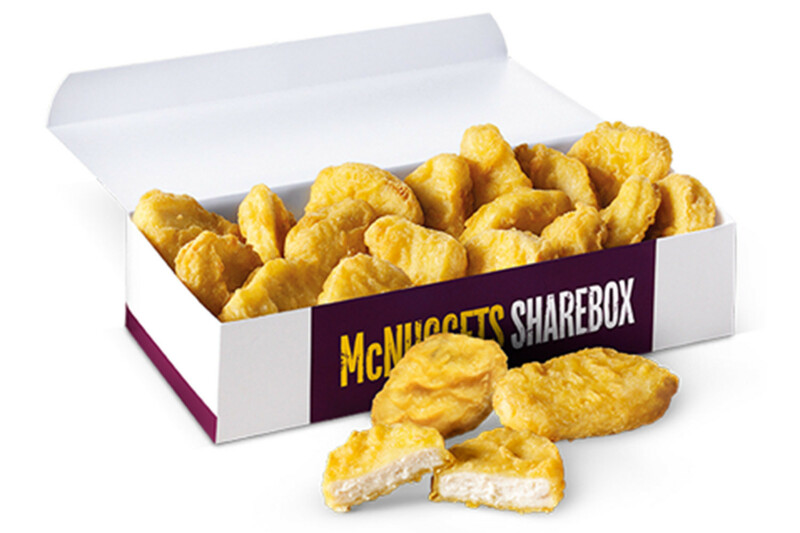 The names of the McNugget shapes weren’t introduced until 2013. The original McNuggets were created in 1979 by a chef named Rene Arend. 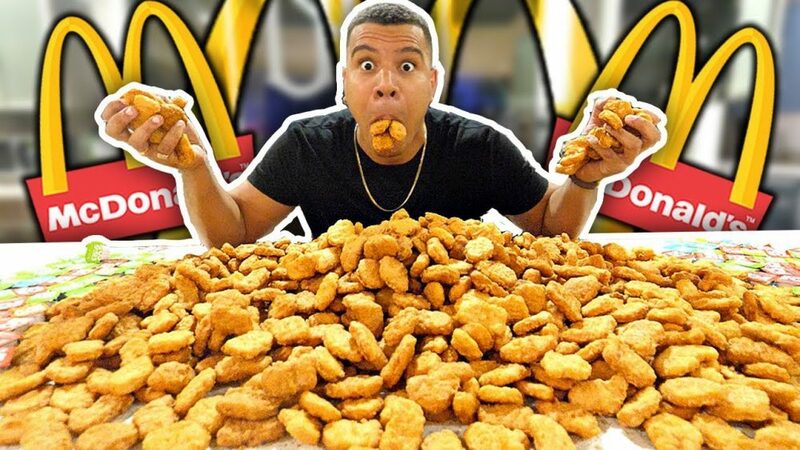 When McNuggets were made available, people fell in love with them right away. McDonald’s had a difficult time meeting the large demand for its new menu item. McDonald’s had to tweak its supply and production system to endure that adequate numbers of Chicken McNuggets made it into McDonald’s franchises. 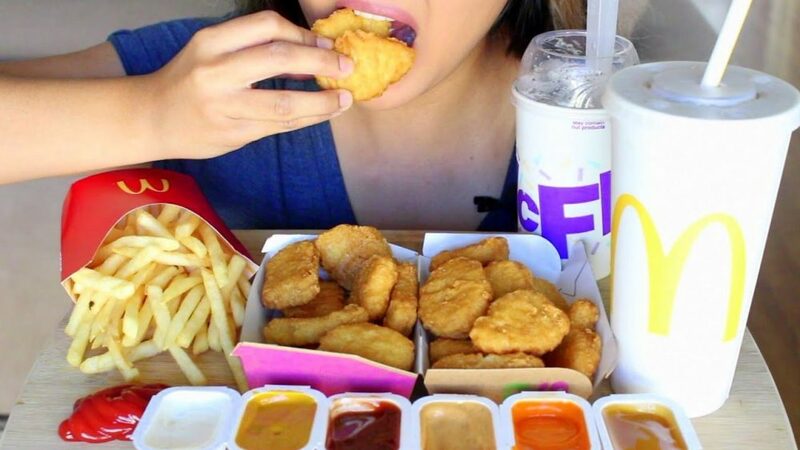 When you order a four-pack, you’ll take in 180 calories if you eat every single nugget. 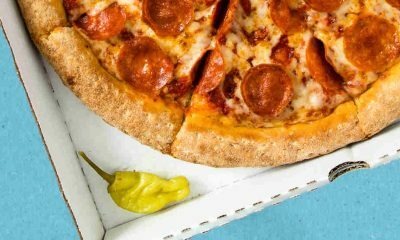 Six-packs contain 270 calories. Ten-packs have 440 calories. 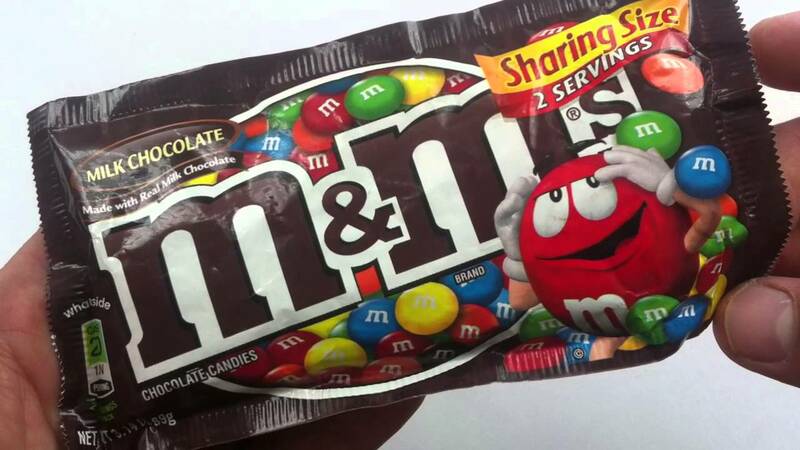 A twenty-pack has 870 calories. In 2014, McDonald’s addressed the whole famous pink slime controversy, which related to allegations about how its Chicken McNuggets were prepared. Pink slime is a term that was a slang phrase for lean beef trimmings which are treated with a chemical called ammonia. In industrial food production, meat parts which are edible, but which stick to bones and can’t be stripped from bones easily, are sometimes recovered via mechanical processes and then converted into a slimy substance that plumps up chicken and beefs up beef patties. The pink slime is an affordable way to produce beef and chicken products. They cost more to produce without pink slime added. 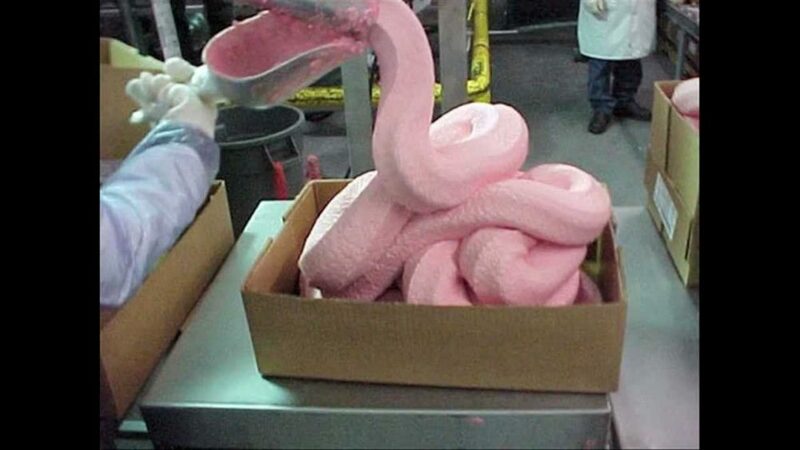 If you’re worried about pink slime in McNuggets, don’t worry. 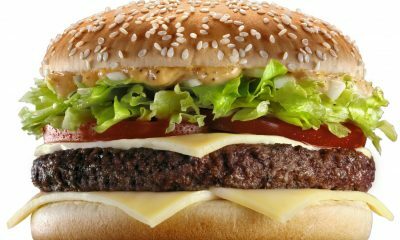 McDonald’s says it ceased using lean beef trimmings to plump up food products back in 2011. The restaurant says its nuggets are created from boneless, white meat chicken. To prove its claims, McDonald’s released a video of the Chicken McNugget production process, which showed how breasts are taken from complete chickens. They also showed how the chicken breasts are blended and seasoned. Everyone also got to see how the nuggets are formed. 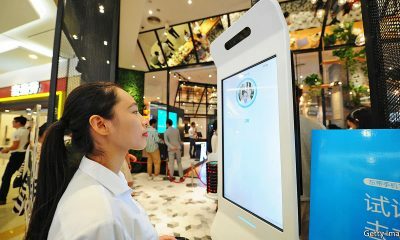 Customers were who lucky enough to access Chicken McNuggets as soon as they were launched lived in areas where the tasty chicken bites were being sold at their local McDonald’s fast food chains. 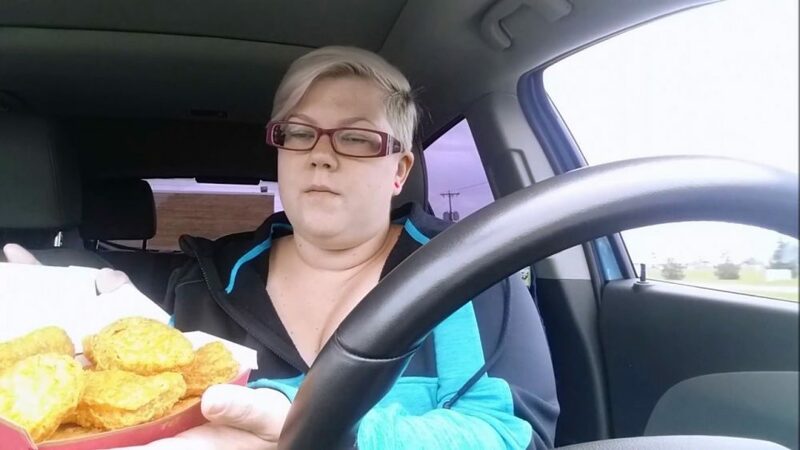 Others had to wait until McNuggets made it to their locations. Roll-outs of new products take time. Eventually, every McDonald’s on the planet offered Chicken McNuggets to their customers. 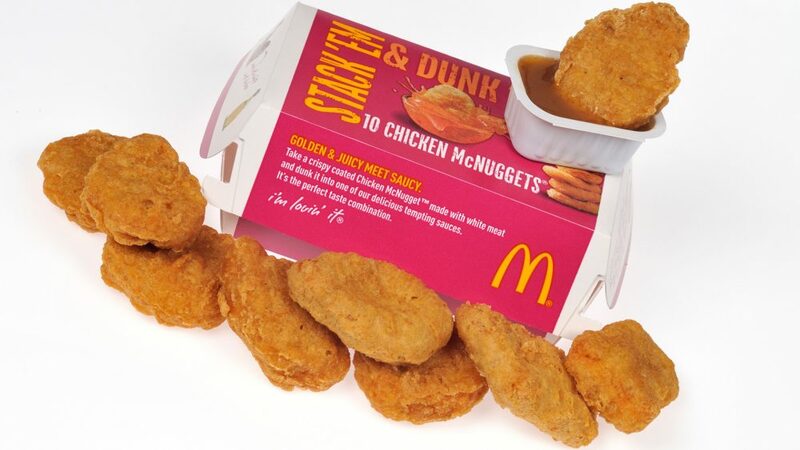 The instant popularity of these nuggets was phenomenal. Today, they are still extremely popular and so beloved. Khloe Kardashian revealed that McDonald’s was her restaurant of choice when it was time to order fast food for the very first time after having her baby daughter, True. She must have given up fast food during her pregnancy, which isn’t such a bad idea, right? Khloe was photographed pulling up to the drive-thru with her boyfriend, Tristan Thompson, shortly after her baby was born. Did she order McNuggets? Maybe. She was pictured munching on a golden French fry. It’s hard to say what else was in her takeout bag. Her sister, Kim, absolutely adores Chicken McNuggets. Kim Kardashian goes for the Honey dipping sauce when she orders them from Mickey D’s. Sometimes, she grabs a pack of McNuggets and a burger and then eats fifty percent of each. Kylie Jenner is more of a Popeye’s person. McDonald’s hasn’t revealed how much of each Chicken McNugget is chicken and which percentage of each nugget is other ingredients. Examples of ingredients in modern-day Chicken McNuggets include water, white boneless chicken, salt and wheat starch. A full ingredient list is available and easy to find at the official McDonald’s USA website. There are a lot of ingredients that you’ll recognize, because McDonald’s had made an effort to change its chicken nugget recipe, to reassure consumers. McNuggets have changed over the years, but not too much. The same great taste is there. These chicken nuggets are perennial faves and McDonald’s has made changes to its recipe mostly to change with the times. However, the restaurant chain is always careful not to change their Chicken McNuggets too much. They know that customers want them to have the same taste, breading and mouth feel that they are used to. McDonald’s changes it up with the dipping sauces sometimes, but also keeps the old standards on hand, including Kim Kardashian’s favorite dipping sauce, which is Honey. This list may inspire you to grab some Chicken McNuggets of your own, without or without the dipping sauce. Order the nuggets with fries on the side or eat them alone. Add a frosty soda or iced McCafe to round out your meal. However you eat them, you’ll find that your enjoying a McDonald’s menu item which has been popular since the 80s. While it’s not as classic as the Big Mac, which was introduced way back in 1967, McNuggets are Mickey D menu items that have definitely stood the test of time.